Four days passed without any unusual occur-rence, and I tried to realize fully the deeper significance of my recent experiences. It was just growing dark on the evening of the fifth day when there was a sound of tapping on the window of my room. I looked out, and on the windowsill stood a snow-white dove with a tiny card in its mouth. "Be at our meeting place at seven in the morn-ing," signed, "Saint Germain." As soon as I had taken the card, the dove flew to my shoulder and rubbed its head against my face as if conveying a message of love, flew again to the window and was gone like an arrow. I put the card away carefully, hoping it would remain; but the next morning as I looked for it before starting on my hike, it had been dissolved. The golden card on which the first message was written had lasted into the third day, for I looked at it several times, hoping I could keep it permanently. When I found it had been returned to the universal, my heart sank, so great was my disappointment. To make the hike of ten miles and be there at seven in the morning, I knew would make it necessary for me to leave shortly after midnight. I arose early and was on my way at three o'clock. By walking rapidly I reached the forest just at day-break. I had not gone far until a plaintive cry came to my ears. Before realizing it I answered in the same tone, so involuntary was my response. There was a rush of something through the timber and my friend the panther bounded toward me, the very embodiment of joy. I patted it, and together we proceeded on our way to the meeting place. Promptly at seven o'clock Saint Germain stepped right out of the atmosphere, greeting me with open arms. Again he handed me the crystal cup, filled this time with a clear, sparkling liquid. I drank it, and the taste was not like anything I had ever physically experienced before. It was almost like the juice of grapefruit iced, but sparkling and effervescing. The moment I drank it, a sensation like lightning went through my body, carrying the feeling of its sparkling activity into every vein. Saint Germain then gave the panther a little brown cake which it quickly devoured. In a moment its hair stood straight up—and he remarked, "Your friend will never again kill deer." "For the coming experience and instruction it will be necessary to leave your body here on the mountainside because you have not yet called forth the Inner Power enough to enable you to take it where we are going today. The panther will be the guard for you, and as an extra precaution I will place the cloak of invisibility around both. We will go to the Royal Teton. "Come." Instantly, I stood out in my finer body, clothed in a rich garment of self-luminous golden fabric. 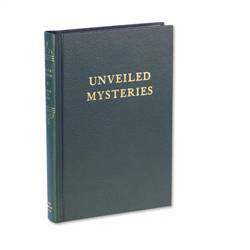 "Observe carefully the material in which you are clothed," he continued. "The substance composing the garment you wear has certain extraordinary qualities and powers of its own, one of which is to enable its wearer to lift and transport physical objects. The garment itself possesses pure electronic energy and can be used to move objects the same as the force one uses through his physical body. This is a phenomenal activity that the Great Masters of Light have given permission to be used for the first time on this planet." For the benefit of my readers, I want to state clearly and unmistakably that while I was clothed in a body which did function in four dimensions during these experiences, yet it gave me the ability to feel and handle solid objects in the physical world the same as everyone can do in his own physical body. The body I used this time was not that which is sometimes called the astral body. We soon reached the top of a majestic mountain that stands sentinel over one of the most beautiful scenic belts in the United States. Vast forests lay beneath us, and great ranges of mountains with their treasures of mineral wealth still untouched stretched as far as the eye could see. Going to a point where huge masses of stone lay in confusion as if giants had hurled them in a war upon each other, Saint Germain touched a great boulder. Instantly the enormous mass tipped out, perhaps four feet away from its original position. He motioned me to follow. We entered and, to my astonishment, stood before a large bronze door. "This has been here since before the sinking of Atlantis, more than twelve thousand years ago," he explained. "Yes, but harder and stronger than steel and indestructible." A flat disc of the same metal, fitting the tube quite closely, rose within it to the level of the floor. The platform was controlled and operated entirely by the Master. He stepped upon it and I followed. The door closed and we began to descend. It was a long way down, although we did not move rapidly. The platform came to a stop at another bronze door of entirely different design. "We have descended two thousand feet into the very heart of the mountain," he commented as we stepped out of the tube. The space in which we stood was of peculiar design and arrangement. It formed an oblong from east to west, whose northeast and northwest corners had been cut on an angle. This formed an outer court or reception room. The heavy bronze door from the tube elevator opened into the court on the northeast wall. In the north side were two other large bronze doors exactly alike, entering into a great audience hall. On the northwest wall was still another, a fourth door, like the one through which we had come. Opposite on the long unbroken stretch of the south wall hung an immense tapestry. It was made of most unusual material; and while the weave was coarse, yet the thread or fiber was as soft as camel's hair. The background was of a delicate cream color, and against this were two life-sized figures representing God Beings of Great Majesty and Power. The one on the right was masculine, the other feminine. Both were standing as if in the act of commanding Cosmic Forces to obey their decrees. The masculine figure wore a full-flowing robe of some rich material of a deep sapphire blue, banded and heavily embroidered in gold. It was evidently a robe of state or symbol of authority. Under the outer robe was a tunic of golden fabric, metal-like in appearance. A sunburst of rubies, diamonds, sapphires and emeralds covered the chest. The waist was encircled by a jeweled belt, and from it hung a panel about twelve inches long. It too was heavily encrusted with the same kinds of jewels. The tunic reached to the knees, and the lower edge was trimmed with a band about four inches wide of heavy embroidery in silk of the same color as the jewels. The entire effect gave one the impression that the garments were all self-luminous. The feet were clad in sandal-like boots of golden leather reaching almost to the knees, very ornate and laced with sapphire-blue cords. A band of gold about an inch and a half wide rested halfway down upon the forehead, binding the figure's wavy golden hair which hung to about six inches below the shoulders. The complexion was very fair with a soft pink tint, and the eyes were a deep violet-blue. The fingers of the left hand rested lightly over the heart, and the upraised right hand held a blazing crystal rod of power and authority. The lower end was shaped to a point, and on the top rested a sphere about three inches in diameter that gave off rays of sparkling White Light. One knew unmistakably that the figure portrayed was in the act of wielding gigantic power and was a manipulator of some Mighty Cosmic Force. The entire appearance suggested fullest youth, and yet the wisdom of the ages spoke through the eyes of a hoary past. The feminine figure's robe of authority was a deep violet, banded with golden embroidery similar to that of her companion. The underdress was a soft, golden, shimmering material that came almost to the floor. The thread used in weaving the tapestry to represent the garments must have been the same which had actually composed the material in the original clothing. This Being wore a jeweled girdle with its panel reaching about two inches below the knees and encrusted with the same kinds of jewels as those of the masculine figure. The toe of her right sandal was just visible beneath the edge of the dress and was made of golden leather. Her headdress was a plain band of gold exactly like his, and the eyes were the same violet-blue, but lighter in shade, her golden hair falling to the knees. On the chest suspended from a golden chain hung a large seven-pointed star cut from a single diamond. In her left hand she held a crystal sphere about six inches in diameter, and in her right, uplifted like that of the other figure, was a scepter of most strange design. About two thirds of the lower portion was made of gold, terminating in a spear-shaped point, the upper third composed of a crystal-like substance radiantly luminous. This formed into a design at the top similar to a fleur-de-lis, except that the middle point was much longer and tapered to a slender apex formed by its four facets. The curved leaf on the right of the central portion was a beautiful pink, and that on the left a deep sapphire blue, but the middle one was crystal white. All were transparent and glowed with Light. The gold and crystal-like portions blended with each other perfectly, for there was no line of de-marcation between the two substances. Her scepter symbolized the Three Activities of the Creative Force. The crystal ball in her left hand revealed the unmanifested Perfection of the future in Cosmic Activity. Both scepters represented the drawing and directing of the Creative Power into universal sub-stance for special manifestation. They were radiant and beautiful, even in the tapestry, and I could but wonder what they must have been in reality. Saint Germain stood patiently waiting while I studied the whole concept, so fascinated was I by the magnifi-cence of the entire work. "These two Great Beings were the founders of this Retreat," he remarked, as we turned and passed through the bronze door on our right and entered a large room which one realized instantly was used as a great council hall for some kind of sacred ceremonial purpose. The whole atmosphere was one of magnificence and beauty. Words utterly fail to convey that which my eyes beheld and my feelings experienced. It took me some moments to become accustomed to the dazzling sight and the splendor of my surroundings. This room was at least two hundred feet long and a hundred feet wide, with a ceiling about fifty feet high. A soft white light, which Saint Germain explained was an omnipresent force that the Great Ones always use for light, heat, and power, flooded the entire place. About twenty feet of the side walls and far end of the room were formed in white onyx. Where this formation ended, the builders had cut through a great vein of virgin gold more than two feet in width. The main stretch of both side walls was of a light, blue granite; but near the end from which we entered, the natural structure changed into rose granite of a still finer quality. The surface of the walls, ceiling and floor had been highly polished, evidently by some remarkable process. The arched ceiling, rising some ten feet higher than the side walls, was inlaid with a most unique design. Directly in the center was a disc of gold at least twelve feet in diameter. Filling it so that the points touched the circumference blazed a seven-pointed star composed entirely of yellow diamonds—a solid mass of brilliant golden Light. Radiating from this Central Sun were two rings of color, each about twelve inches wide forming a definite band of Light around the star, and of these, the inner band was rose pink and the outer an intense violet. The background against which this star lay looked like golden frost, the star itself sending down long rays of gleaming crystal Light. Around this design were placed seven smaller discs, each about two feet in diameter, representing the planets of our system and the seven rays of color within the spectrum of white Light. The surface of every disc was velvet-like in its softness, and only the clearest, most intense positive shade of each color had been used. As I learned later, at certain times for special purposes, Great Cosmic Beings pour through these discs Their powerful currents of force. Here it is received by the Great Illumined and unselfish Ones known as the Ascended Masters of Light, who again send it forth to the humanity of our earth. This radiation affects the seven ganglionic centers within every human body on our planet as well as all animal and plant life. The background of the entire ceiling was the color of a very clear sky on a brilliant moonlight night, yet the surface was highly refractive. In the center at the far end of the hall, about thirty-five feet from the floor in the wall itself, was a large Eye at least two feet across. This represented the "All-Seeing-Eye of the Creator" forever watch-ing over His Creation, and from Whom nothing can be hidden. A tremendous power was focused through this Eye at certain times for the accomplishment of specific results. I could but wonder as I contemplated it what my sensations would be were I to see That Power in full operation. Perhaps forty feet from the far end on the east wall, stretching about seventy feet in length and thirty feet in height, was a panel of some precipitated material. It had been placed a little more than five feet above the floor level and sunken into the side wall for a depth of two inches, making a concave surface around the entire edge. The substance composing it looked like beautiful velvet of a deep indigo blue, yet it was not a fabric of any kind. The nearest physical material to which one could compare it would be that of a mineral. This substance is not in use in the outer world of mankind anywhere, but it can be and is sometimes precipitated by the Great Ascended Masters of Light for a special purpose. Saint Germain explained that the panel had been precipitated and served as a universal mirror for the instruction of Initiates and Inner members of a group of Highly Evolved Beings. These Great Ones work ceaselessly helping the humanity of our earth to become Perfected men and women, and enable them to manifest in their outer lives the same great Perfection and Dominion as did Jesus Christ. There is no outer organization of these Perfected Beings. Only by living and expressing this Perfection through self-correction of human weaknesses and full adoration to the Divine Being Within can an individual draw himself into association with Those working at this high level of attainment. "Upon this panel," said Saint Germain, "are projected scenes of earth, pictures in the ethers, the akashic records and activities taking place on Venus or at any other point which those instructing wish to make visible to the students. Such scenes are not only pictures of the past and present but can portray activities into the far future. These you shall see later." We passed through the last door on our right and entered a room whose dimensions were about eighty feet long, forty wide and twenty high, with an arched ceiling similar to that in the large hall from which we had just come. "The entire interior surface of this room is made of frosted gold, and the purple and green veining you see on the walls as if embossed is precipitated," he continued. At the far end and on the side wall to our right reaching from floor to ceiling was a framework made of white metal that looked like frosted silver. In this framework, resting upon roller bearings, were containers made of the same metal. The lids of these containers gave classifications in hieroglyphics of the contents on the four spindles within each, the hieroglyphics being embossed upon every lid. The spindles were at least ten inches long, and around every one had been wound a ribbon about eight inches wide made of pressed gold, alloyed with some material that made it tough and pliable, and yet no thicker than a piece of ordinary writing paper. The length of the ribbons of gold on the spindles varied from seven to fifty feet, and on each were characters as if etched into the gold by some-thing like a stylus. These characters had been so perfectly done as to make the whole appear like script. "These records are the fulfilling of my promise to you," said Saint Germain, as he indicated a particular section at the far end of the side wall. "They describe the city, country, and civilization which once existed where the Sahara Desert is now, during the time in which you were my son and I the ruler of that ancient empire. This room contains records of many countries and the rise and fall of many civilizations." Handing me one of the spindles, he released the fastening and I found to my astonishment that I could read its contents. "I am enabling you to do this," he continued, "by temporarily raising your consciousness and calling forth the hidden memory—the former record of these experiences which you once lived through. The matter of knowing God and His Universe is but a contacting of the Life record in every form. All forms contain Life, and within the Light emanation of every form is recorded its entire past-which anyone may train himself to discover and under stand if he be willing to give his attention and time to the self-discipline necessary to still the confusion in the outer activity of his everyday existence. This eternal record within all things has existed from the beginning. "In ages past, humanity manifested Perfection in every way. This former condition of the race has been chronicled by historians as the Garden of Eden, Eden or E-Don, meaning Divine Wisdom. As the conscious attention or the outer activity of the mind was allowed to rest upon the world of the physical senses, the Divine Wisdom — the All Knowing activity of consciousness — became clouded, or covered over, and the Cosmic Divine Plan of the individual's life became submerged. Perfection and conscious control by mankind over all form was hidden — and forgotten along with it. "Man became sense conscious instead of God conscious, and so manifested that to which his attention was directed and which he thought most upon. He deliberately and consciously turned his back upon the Perfection and Dominion with which the Father endowed him in the beginning. He created his own experiences of lack, limitation, and discord of every kind. He identified himself with the part instead of the whole, and of course imperfection was the result. "All mankind's limitation is the result of the individual's own misuse of the God attribute of free will. He compels himself to live within his own creations until, by the direct volition of the outer activity of his mind, he again consciously looks back to his Royal beginning — God, the Great Source of All. When this occurs, man will begin to remember That which he once was and may become again whensoever he chooses to look once more at the Great Cosmic Blueprint of Himself. "The record you have been enabled to read described the Life and people as we saw it taking place seventy thousand years ago. You had much to do with the work of making these records in several lives which have not yet been revealed." We crossed the council hall, entering the opposite door, and found a room similar in size to the one we had just left, with two smaller rooms adjoining it on the north wall. In the larger room covering almost the entire wall surface was more metal framework filled with containers quite like those in the other room. "These rooms," he continued, "contain only gold and jewels that are to be used for a special purpose which will bless the entire world when mankind has transcended its unbridled selfishness." Here he drew forth a container filled with gold coin and went on explaining. "This is Spanish Gold lost at sea, and we, seeing it would not be recovered by other means, brought it here through the activity of certain forces which we govern. Later, in a time that is rapidly approaching, it will again be sent forth for use in the outer world. "In these containers," indicating another section, "gold is stored from the lost continents of Mu and Atlantis, the ancient civilizations of the Gobi and Sahara Deserts, Egypt, Chaldea, Babylonia, Greece, Rome, and others. If all this gold were to be released into the outer activity of the world, it would compel sudden readjustment in every phase of human experience. At present it would not be the part of wisdom. The Infinite Wisdom and Power of those Great Cosmic Masters who have been the Guardians of the race since its first appearance upon earth is almost beyond the comprehension of the human mind. "No one in this world ever accumulated a great amount of wealth without the assistance and radia-tion of some Ascended Master. There are occasions in which individuals can be used as a focus of great wealth for a specific purpose, and at such times, greatly added power is radiated to them; for through it they can receive personal assistance. Such an experience is a test and opportunity to expand their Light. All unusual accomplishment that takes place in human activity, no matter what the particular channel may be, is always attained through the assistance of superhuman Love, Wisdom, and Power from an Ascended Master, because he has transcended all limitations of the physical world, and for this reason more than ordinary success is due to His greater power through radiation. "In 1887, the Ascended Host of Masters estab-lished a school on the Inner planes for the specific purpose of instructing those who have misused wealth, and revealing fully the results of their mis-takes. Such as these are taken and told the Truth concerning the Universal Law governing all wealth and the results that come from influencing others to perpetuate their wrong ideas and mistakes. They are given complete freedom to accept or reject the proof offered. They always accept and abide by the instruction given." "Now you know and understand that the Great God Self is the only Real Owner and Controller of all wealth. That `Presence' appoints keepers of His treasures on every plane of Life, whether it be Light, Wisdom, Substance or physical riches. You are calm and poised, I see, while we are observing this phase of our activity, and that is well. It reveals your Inner strength and ability to do what is now ready to be accomplished as soon as you are prepared outwardly. This will soon come about I assure you. "You have been shown proof that it is we who really govern the wealth of the world and use it but as a test of the soul strength of the individual. It is always a trust—given to those who should be strong enough to use it only constructively; but few, very few, really pass that test under the temptation existing in the world at large today. If we choose we can raise the humblest of God's children who have sufficient preparation into wealth, power, and prom-inence, if by so doing help can be given to many others through such accomplishment." After examining other containers filled with more jewels, we turned and re-entered the council hall. Looking toward the entrance through which we had first come, I saw my loved ones—Lotus and our son—in the charge of one of the Ascended Masters whom Saint Germain said was known as Amen Bey. After greetings had been exchanged, we were conducted to seats before the panel on the east wall. In groups of from three to twelve came the blessed ones of the Ascended Host until seventy of them were seated. A great hush fell upon all assembled, and for a few moments, the silence was breathless, expectant. A ball of soft White Light began to form in front of the panel increasing rapidly in size and brilliance until it became an oval at least seven feet in height. As though born from within the Light itself, stepped a most Glorious Being — tall, majestic, and powerful. He made the sign uniting the finite with the Infinite, and in a voice that thrilled every atom of mind and body, asked if all were ready. A blazing Light flashed forth from the substance that composed the panel until it looked like a mirror of Living Light. In a moment this changed into a crystal clear atmosphere, and it then became a cosmic screen upon which living pictures in all dimensions could be portrayed with no limit to the space that could be observed. It was self-evident that everything which had or ever could take place in all Eternity might be made visible on this screen if the Directing Intelligence so desired. The first scenes portrayed the continent of Mu, the activity and accomplishment of its people, and the height to which that civilization attained. This covered a period of thousands of years. Then came events that surely must have been a reign of terror to the inhabitants of that land. A cataclysm occurred which tore the surface of the earth until all collapsed within itself. The ancient land of Mu sank beneath the waves of what is now the Pacific Ocean where it still rests, wrapped in its mantle of water. Again it will rise and once more absorb the Life and Light of the physical sun. Next came the growth to beauty, wisdom, and power of Atlantis, a great continent covering a large part of what is now the Atlantic Ocean. At that time there existed solid land between Central America and what today is Europe. The things accomplished in that age were tremendous; but again, the people's misuse of the Mighty God Energy overwhelmed them, and as things were thrown more and more out of balance, the tearing apart of the earth's surface by cataclysmic action was re-experienced. It left but a small remnant of Atlantis, merely an island in midocean cut off from close contact with the rest of the civilized world. The east and west portions of the land had sunk beneath the Atlantic Ocean leaving only the island called Poseidonis. It had been the heart of the then-known civilized world, and preparation was made to protect and preserve its most important activities as a central focus to carry forward certain unfinished work. In that period very great attainment was reached, both spiritually and materially. The mechanical development of this cycle reached a very high state of achievement, and one of its most remarkable expressions was the perfec-tion of their aerial navigation. The air transportation of our modern life is as yet very crude and primitive compared to what was then on Atlantis. The Great Masters of Light and Wisdom made this possible for the people of Poseidonis because they inspired, instructed, protected, and revealed knowl-edge of great advancement in every phase of human activity. A large portion of these people became aware of the Great Inner God Power within the individual, but as before, the human side of their nature or outer activities again usurped the Great Energy. Selfishness and misuse of this transcendent wisdom and power gained the ascendancy to even greater height than before. The Masters of the Ancient Wis-dom saw the people were building another destruc-tive momentum and that a third cataclysm was threatening. They warned the inhabitants again and again as previously, but only those who served the Light gave heed. Great buildings were constructed of imperishable material where records were placed that have been preserved through the centuries. These remain in a state of perfect preservation now on the bed of the Atlantic Ocean — hermetically sealed. They will be brought to the light of day by the Great Ones who directed their preparation and control their protection. In them are recorded humanity's advance and accomplishment of that period, so there has been no permanent loss to mankind of the activities of the Atlantean civilization. Beside the preserving of such records, great wealth, principally gold and jewels, was transferred at that time to other points of safety. This has been and will continue to be guarded over the centuries and used at a future time for the uplift and advancement of generations yet unborn. The final cataclysm spent its momentum, and the last remaining fragment of a once world empire sank to rest for purification through the centuries beneath the present Atlantic Ocean. The remem-brance of Atlantis and her people, unlike the lost continent of Mu, has not been entirely forgotten or obliterated in the history of mankind; for it has been recorded in many ways through the centuries. Even though twelve thousand years have elapsed since the sinking, fragments of information concerning it still drift to us from most unexpected channels. Myths and legends abound in reference to Atlantis, and these are two avenues which preserve to mankind certain actual conditions that have been upon the earth in one age or another. As time goes on, indisputable proof of its existence and the height of its attainment will be revealed by oceanography, geology, and other scientific data. Then passed before our vision the ancient civilizations of the Gobi and Sahara Deserts, showing the rise and fall of their principal activities. The decline in each of these was due this time not to cataclysmic action but to being overrun by hordes of primitive souls taking embodiment in that cycle. Next came pictures of Egypt, her rise and fall, the latter being due to the deliberate misuse of knowledge and power by a large number of the humanity embodied in that land, whose predominant qualities were pride of their intellectual accomplishments and rebellion against the restraint of their lower nature. These always mean failure individually or en masse. Egypt rose to her greatest height by the right use of knowledge and power. These always demand humility, obedience of the intellect to the God Self Within, absolute and unconditional control of the human or lower nature in those who seek such gifts, if they are to avoid destruction. The souls embodied in Egypt during her decline were not undeveloped, as were those in the civilizations of the Gobi and Sahara Deserts. On the contrary, they had attained the conscious use of knowledge and power and deliberately chose to misuse it. This activity has nothing whatsoever to do with Wisdom; for those who are the Eternal Inheritors of the gifts from that Divine Goddess must forever be above all tempta-tion to misuse knowledge and power. Wisdom is the right use of all that manifests, and he who realizes this self-evident, Immutable Truth becomes an open door to all good that abides in creation. The reference to Egypt as a land of darkness is most unjust, for out of Egypt in her earlier cycle came very great Light, and out of Egypt will again come very great Light. The next scene portrayed the rise and fall of the Roman Empire. When the darkness and degradation of those centuries had reached their lowest point, lo! Jesus appeared, pouring out His Blazing Light and Love as the Christ; and through His Transfiguration, Resurrection, and Ascension such an overwhelming flood of God's Perfection spread over the earth that never again can so vast a darkness encompass humanity in any age. The accomplishment of His Life stands eternally recorded upon the atmosphere of this planet and acts as a magnet drawing mankind unto a Like Perfection. The coming of Jesus was an initiation to the people of our world and a Cosmic Command to use the Power of Divine Love in all their future activi-ties. This outpouring of His Love to the earth at its darkest cycle became the birth of the Christ Child in the individual. He called forth once again the Cosmic Divine Blueprint and revealed the Decree for the incoming age. 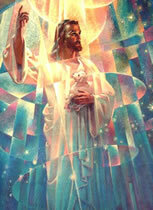 That plan is Complete Dominion over all things finite through the Full Stature of the Christ within every human being. Next came the reign of Richard the Lion Heart of England. Humanity has little or no knowledge of the real spiritual activity that took place during those years. The same Light that inspired Richard's enthusiasm and activities in the crusades released through his followers and the people of that time certain forces that the Ascended Host used at Inner levels of consciousness. Then came pictures of the recent world war in Europe, and these disclosed the activities that gener-ated it. Only a few individuals know the real cause; and no doubt it is for the best more do not. It is too destructive for the consciousness to contemplate. Nothing can possibly be gained by focusing the attention upon war. This too, perhaps, was the reason why the period from Richard to the world war was not portrayed. Here, the activities of the Ascended Host were revealed, and we saw them dissolve the cause and greater part of the accumu-lated momentum of the world's recent conflict. They accomplished it by consciously focusing and directing enormous Rays of Light whose power to consume and transmute is too stupendous for finite description. These Perfected Ones have been watching for the Cosmic Moment to arrive when they might perform for humanity a Service of Love that has been long awaited and of which mankind has as yet little or no comprehension. These remarkable pictures continued and revealed activities stretching forth into the far future and affecting the whole earth. They showed many changes to come in the surface of the land itself. One of the most important of these concerned the progress of North America. 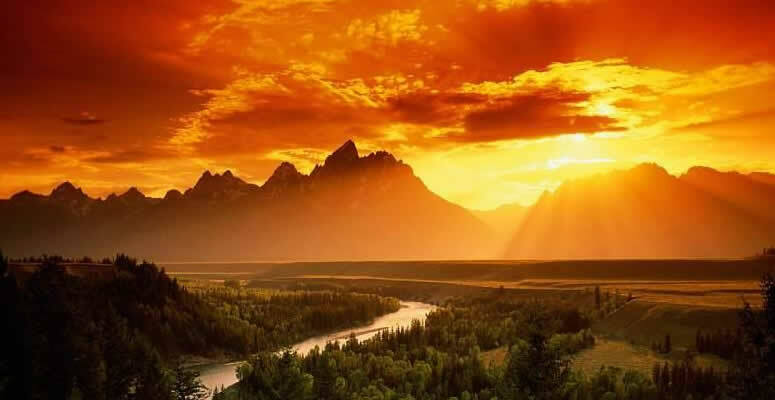 The Divine Plan for the future of North America is a condition of intense activity in the greatest peace, beauty, success, prosperity, spiritual illumination, and dominion. She is to carry the Christ Light and BE the Guide for the rest of the earth, because America is to be the heart center of the "Golden Age" that is now dimly touching our horizon. The greater portion of the land of North America will stand for a very long time. This has been known for thousands of years — yes! for over two hundred thousand. The pictures continued for nearly three hours portraying many scenes and activities that have entirely escaped the recording of historians and the world of science because of their great antiquity. Wonderful and beautiful as our moving pictures are today, they are mere toys when compared with the living, breathing, actual existence revealed upon this cosmic screen. Here it was possible to watch the Cosmic Cause go forth of many events and conditions found upon earth — so that those watching received instruction of most extraordinary magnitude. This Inner instruction is of great help to students. 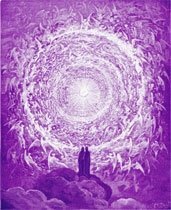 At the close of the instruction, Saint Germain presented us to the Great Ascended Master Lanto, who had manifested from within the Blazing Light, and then to the seventy Masters assembled. "We shall rejoice indeed," said Lanto, turning toward us, "when you are again ready to join in the conscious service of the glorious work at hand. This opportunity comes to you through the mighty victories you have won over the human self and outer world. The time is nearing when you shall be privileged to see how truly great those victories are. Each day accept in its Fullness the Mighty Active `Presence' of the Great God within you, and there can exist no such thing as failure anywhere along the path. Everyone who sincerely seeks the Light is always known to the Ascended Masters. On New Year's Eve we will meet here again when there will be twelve guests from Venus. It is our wish that you be present. Saint Germain and Amen Bey will be your sponsors." At a signal, all became silent and received Lanto's blessing of love before returning to their respective fields of service. Most of them simply disappeared from the room within a few moments, and the rest left by the way of the tube. "My Children, I see you are unaware of time. It is now three o'clock in the morning," remarked Saint Germain as he turned to say good-by to Lotus and our son who, after embracing me, left by way of 100 the outer reception room as we passed through the first door on the right. "There is one thing more," he continued, "I want you to see before we go. "This seems to be a pipeless organ, but the pipes, which are much smaller than ordinary, are placed within the case. The tone of the whole instrument is superior to anything the earth has ever known before in music. These organs will come into use in the outer world as the incoming Golden Age moves forward." Next we examined four magnificent harps, slightly larger than those in ordinary use in the musical world today. Saint Germain seated himself at one of these and played several chords to give me some idea of their tone. It was the most wonderful music I have ever heard. "This harp is a surprise for our Beloved Lotus," he said, "for on New Year's Eve in this Retreat, you shall hear the organ and four harps played by skilled artists." We finished the inspection of the room and left through the door on the northwest wall. Instead of passing out of the Retreat as we had come in, Saint Germain opened a small door on the left and entered a glistening tunnel, whose walls sparkled with a crystal-like formation which became instantly illumined by the White Light that he always released by manipulating the electronic substance about him. We walked rapidly forward in the tunnel, came to a bronze door that opened at his touch, and stood again under the starlit sky. We remained in perfect silence for an instant, then rising to some five hundred feet above the ground level, passed swiftly through the air, and a few moments later stood beside my physical body on the southern slope of Mount Shasta where the panther still guarded. I had been away twenty-two hours, and as I looked up, dawn was just creeping over the eastern horizon. "Here is your breakfast," announced Saint Germain as he handed me the Crystal Cup contain-ing a clear white, sparkling liquid. "This is both strengthening and refreshing so you will enjoy hik-ing home, because your body needs the exertion and activity. I sense something in your mind which is not at ease, or at least is not clear to your consciousness." "Yes," I replied. "I have a question that has been holding my attention for some time, and it is con-cerning visualization. What is true visualization, and what happens when one does visualize?" "True visualization," he answered, "is God's attribute and Power of Sight acting in the mind of man. When one consciously pictures in his mind a desire he wishes fulfilled, he is using one of the most powerful means of bringing it into his visible, tangible experience. There is much confusion and uncertainty in the minds of many concerning what actually happens when one visualizes or makes a mental picture of something he desires. No form ever came into existence anywhere in the universe unless someone had consciously held a picture of that form in his thought; for every thought contains a picture of the idea within it. Even an abstract thought has a picture of some kind, or at least a picture that is one's mental concept of it. "I will give you an exercise by which one may develop, consciously control, and direct his visualizing activities for definite accomplishment. There are several steps to the process which every student can use at any and all times. The practice does bring visible, tangible results when really applied. "The first step is to determine upon a definite plan or desire to be fulfilled. In this, see that it is constructive, honorable, and worthy of your time and effort. Be sure to examine your motive for bringing such a creation into expression. It must be honest, both toward yourself and the rest of the world, not merely to follow a whim or gratify appetites of the physical senses. Remember there is a vast difference between use, desire, and appetite. Use is the fulfilling of the Great Universal Law of Service. Desire is the expanding activity of God through which manifestation is constantly sustained and is Perfection enlarging itself. Appetite is but habit established by the continued gratification of the feeling nature, and is but energy focused and qualified by suggestions from the outer activity of life. "Be very sure that there is no lurking feeling within that you would be glad to benefit at the expense of another. A real student—and only such a one will get the benefit out of this kind of training takes the reins into his own hands and determines to discipline and consciously control the human self. He chooses what shall or shall not be in his world, and through the process of picturing within his mind designs and brings into manifestation a definitely determined plan of life. "The second step is to state your plan in words as concisely and clearly as possible. Write this down. Thus you make a record of your desire in the outer, visible, tangible world. The third step is to close the eyes and see within your mind a mental picture of your desire or plan in its finished, perfect condition and activity. "Contemplate the fact that your ability to create and see a picture within your own consciousness is God's attribute of sight acting in you. The activity of seeing and the power to create are attributes of your God Self which you know and feel is within you at all times. God's Life and Power are acting within your consciousness to propel into your outer world the picture you are seeing and feeling within yourself. "Keep reminding the intellect that the ability to picture is an attribute of God — the attribute of sight. The power to feel, experience, and associate with the perfected picture is God's power. The substance used in the world without, to make the form in your picture and plan is God's pure substance. Then you must know, God is the Doer, the Doing, and the Deed of every constructive form and action that ever has been sent forth into the world of manifesta-tion. When you thus use all the constructive proc-esses, it is impossible for your plan not to come into your visible world. "Read your desire or plan over as many times in the day as possible and always just before retiring, because on going to sleep immediately after contemplating the picture in your own mind, a full impression is left upon the human consciousness undisturbed for a number of hours, enabling it to be recorded deeply in the outer activity and allowing the force to be generated and accumulated which propels it into the outer experience Life. In this way you can carry any desire or picture into your consciousness as it enters the Great Silence in sleep. There it becomes charged by God's Greatest Power and Activity, which is always within the Heart of the Great Silence. "Under no circumstances discuss either your desire or the fact that you are visualizing with anyone whatsoever. This is imperative. Do not talk to yourself about it out loud or even in a whisper; for you should realize that the greater the accumulation of energy generated by your visualization, contem-plation, and feeling the reality of your picture, the quicker it will come into your outer experience. "Thousands of desires, ambitions, or ideals would have manifested into the outer experience of individuals if they had not discussed them with friends or acquaintances. When you decide to definitely bring about an experience through consciously directed visualization, you become The Law — God — The Law of The One to whom there is no opposite. You must make your own decision and stand back of your own decree with all your power. It means you must take an unshakable, determined stand. To do so, know and feel that it is God desiring, God feeling, God knowing, God manifesting and God controlling everything concerning it. This is The Law of The One — God — and God only. Until this is fully understood you cannot and never will get your manifestation; for the moment a human element enters, you are taking it out of God's hands, and of course it cannot express because you are neutraliz-ing it by the human qualities of time, space, place and a thousand and one other imaginary conditions which God does not recognize. "No one can ever know God as long as he considers a force opposed to God; for whenever he acknowledges that two forces can act, he has a resultant quality of neutralizing activity. When you have neutralization, you have no definite quality either way. You merely have nothing, or no thing in your manifestation. When you acknowledge God The One—you have only Perfection manifesting instantly, for there is nothing to oppose or neutralize it—no element of time. So is it established unto you, for there is none to oppose what God decrees. "Conditions can never improve for anyone until he desires Perfection and stops acknowledging a power opposed to God, or that there is something either in or outside of him that can prevent God's Perfection from expressing. One's very acknowledgment of a condition that is less than all of God is his deliberate choice of an imperfection, and that kind of choice is the fall of man. This is deliberate and intentional because he is free every moment to think whatsoever he chooses to think. Incidentally, it takes no more energy to think a thought or picture of Perfection than it does one of imperfection. "You are The Creator localized to design and create Perfection in your world and place in the Universe. If Perfection and Dominion are to be expressed, you must know and acknowledge only The Law of The One. The One exists and controls completely everywhere in the Universe. You are the Self-Consciousness of Life, The One Supreme `Presence' of the Great Flame of Love and Light. You alone are the Chooser, the Decreer of the qualities and forms you wish to pour your Life into; for you are the only energizer of your world and all it contains. When you think or feel, part of your Life energy goes forth to sustain your creation. "Cast out of mind then all doubt or fear of the fulfillment of that which you are picturing. Should any such thoughts or feelings—which are, after all, but human emanations that do not contain perfection—come to your consciousness, instantly replace them by the full acknowledgment of your Self and world as the Life of God—The One. Further than that, be completely unconcerned about it, except during the time you are visualizing. Have no set time in your mind for results, except to know there is only now —just the immediate moment. Take this discipline, use it, and you can manifest a resistless power in action that cannot and never did fail. "Always remember you are God picturing. You are God Intelligence directing. You are God Power propelling. It is God's — Your Substance — being acted upon. As you realize this and contemplate the fullness of it often, everything in the Universe rushes to fulfill your desire, your command, your picture; for it is all constructive and therefore agrees with the Original Divine Plan for Self-Conscious Life. If the human side of us really agrees to the Divine Plan and accepts it, there can be no such thing as delay or failure; for all energy has the inherent quality of Perfection within it and rushes to serve its Creator. Perfection is the only predestination there is. "As your desire or picture is constructive, you are God seeing His Own Plan. When God sees, it is an irrevocable decree or command to appear now. In the creation of this Earth and system of worlds, God said: `Let there be Light,' and Light appeared. It did not take aeons of time to create Light. The same Mighty God is in you now; and when you see or speak, it is His attribute of sight and speech which is acting in and through you. "If you realize what this truly means, you can command by His Full Power and Authority; for you are His Life Consciousness, and It is only the Self-Consciousness of your Life that can command, picture, or desire a constructive and Perfect Plan. Every constructive plan is His Plan. Therefore you know God is acting — commanding: `Let this desire or plan be fulfilled now,' and It is Done." Here Saint Germain finished speaking, and bidding me a smiling goodbye for the time being, disappeared from my sight. I turned my footsteps toward home, and the panther trotted close by my side. It had been fully twenty-four hours without food, and it was not long until it dashed off through the woods and disappeared in the heavy timber. I continued on my way and arrived home at eleven o'clock, spending the rest of the day trying to realize the full import of what I had been privileged to experience and how the entire concept of my world had changed so unexpectedly.